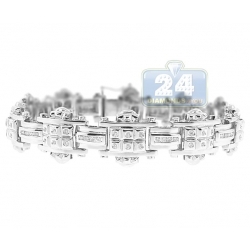 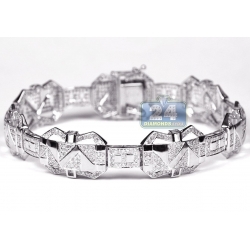 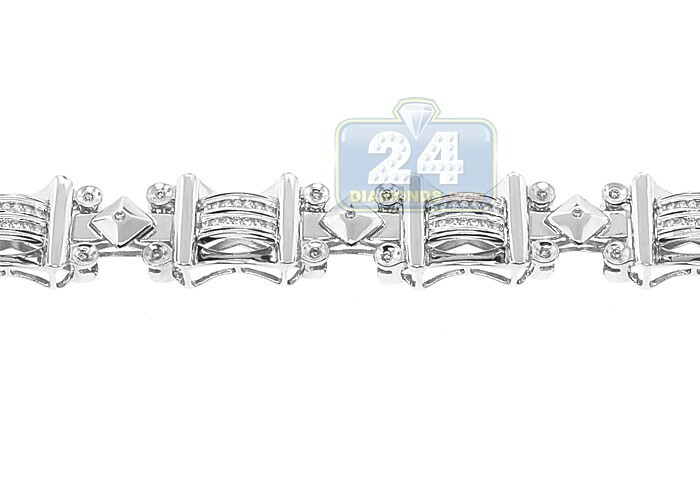 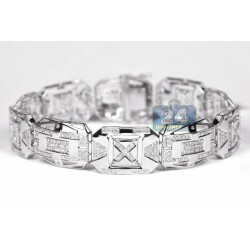 Mens Diamond Link Bracelet 14K White Gold 0.78 ct 12mm 8.5"
This magnificent men's diamond bracelet weighs 44.0 grams and showcases 0.78 carat of icy white round-cut natural diamonds (SI1-SI2 clarity, G-H color), expertly set in a highly polished 14 karat white gold setting. 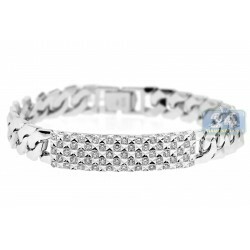 The piece of jewelry measures 8.5 inches in length and 12 mm in width. 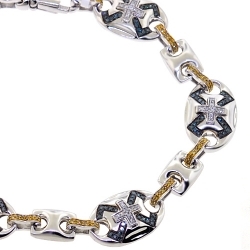 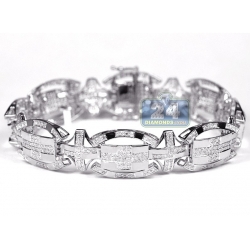 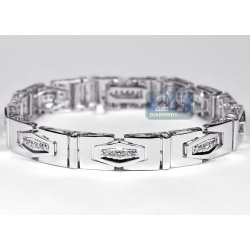 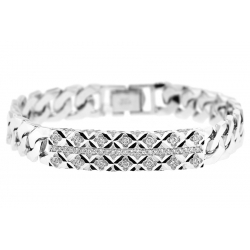 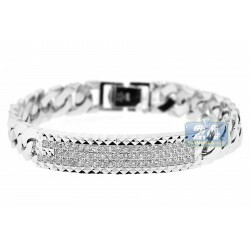 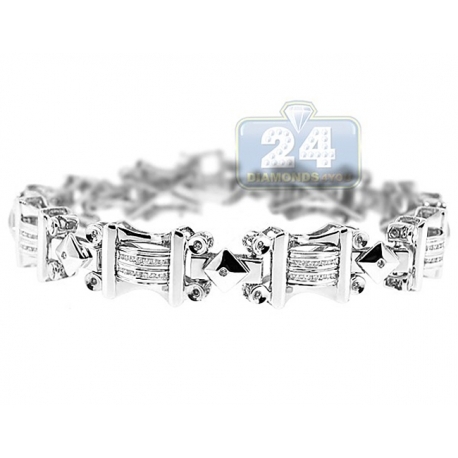 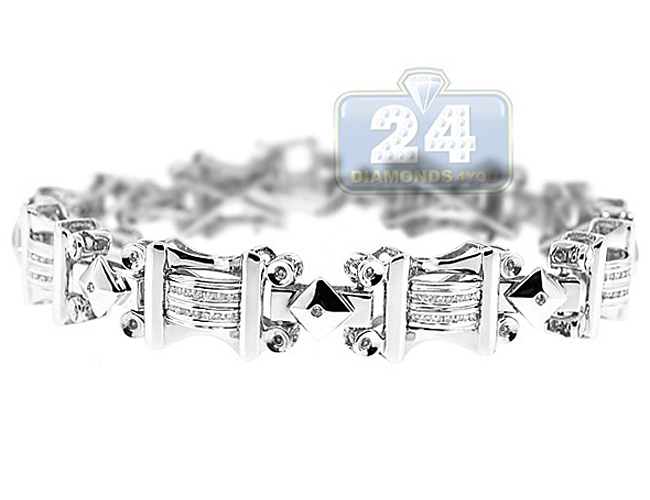 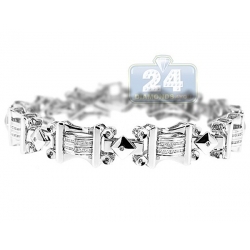 The unique design and impeccable craftsmanship of our diamond link bracelet will complete handsome and masculine look!